Housing First is a model that creates permanent, supportive housing for the homeless. 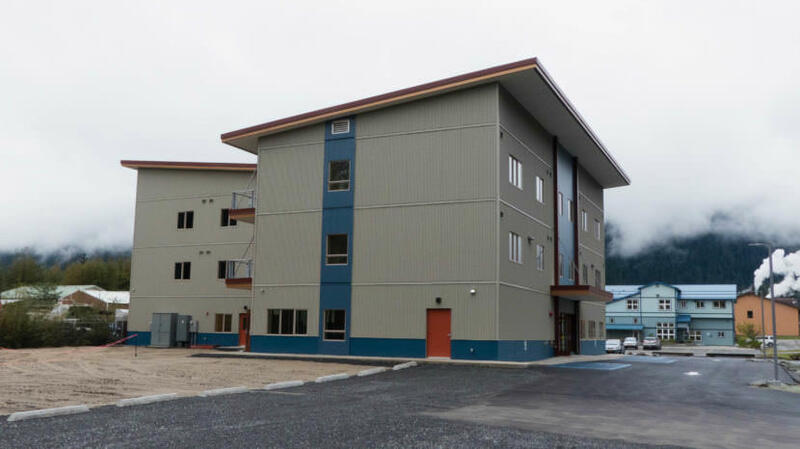 Juneau’s elected officials are being asked for a multi-million dollar commitment to more than double the existing 32-unit complex’s capacity. Mark Mergenthal was discharged from the U.S. Army in 2010. After that, the 37-year-old, self-described homeless alcoholic said he was constantly on edge. 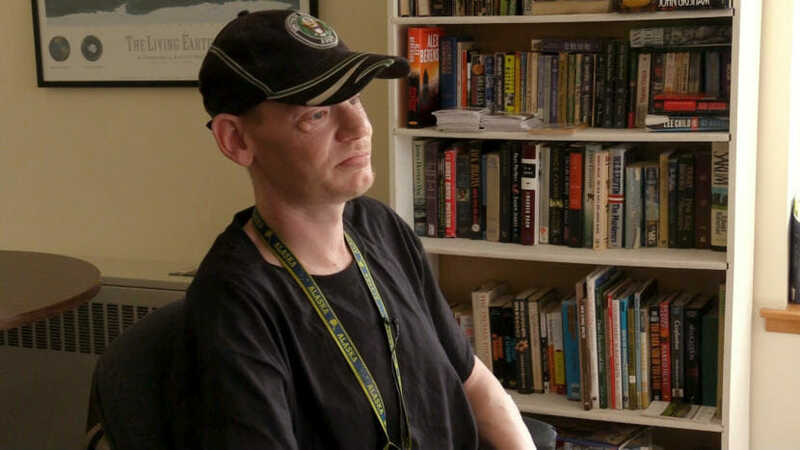 “Living out on the streets of Juneau was just like being back in Afghanistan or Iraq other than the fact that I didn’t have my rifle,” Mergenthal said in a recent interview. Court records show at least 30 arrests in Juneau since 2011. Most of them were for public drinking, littering, illegal camping and other petty offenses. Then he moved into Juneau’s Housing First. “It’s very nice to be able to – you know, when I’m hungry, get up and cook something,” he said. Court records show his most recent arrest was in October – the month before he moved in. Researchers at University of Alaska Southeast have been tracking residents like Mergenthal. Over six months, the residents’ contacts with police dropped by 72 percent. Ambulance trips fell by 54 percent. Visits to the hospital emergency room fell by 65 percent. “You can support Housing First because you realize it makes economic sense or you can support it because you think it’s the right thing to do,” said Bruce Denton, a member of Juneau’s Housing First board of directors. Denton is also a downtown merchant who’s been on the front lines of the debate over what to do about homeless alcoholics panhandling and camping out. Residents pay a third of their income toward rent. That includes any wages, public assistance benefits and permanent fund dividend checks. Any shareholder dividends from Native corporations also help. But Housing First isn’t a halfway house. There are no mandatory rehab programs or curfews. But there is an onsite medical clinic and counseling services available. Nine of the residents are women. Among the first wave was 48-year-old Mary Bailey. She’s also a self-described alcoholic but said much of her drinking was to cope with the misery of being homeless. She said having a secure place to live gives her more power over her addiction. There are at least 94 people on the waiting list to get a place at Housing First. Now, the nonprofit board wants to whittle it down by building 45 new single apartments. There is state and federal funding available but the city is being asked for a $4.2 million commitment. 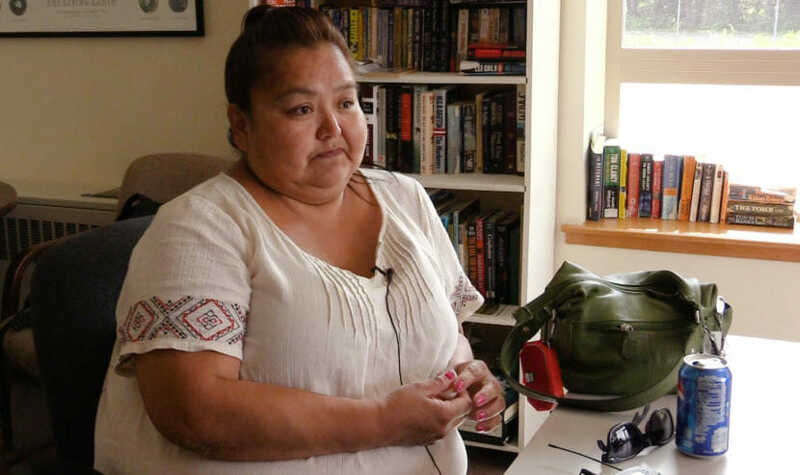 There’s a hard deadline in early October to take advantage of funding from the Alaska Housing Finance Corporation and others. “It would be critical for Juneau to secure these funds,” said Mariya Lovishchuk, one of Housing First’s administrators. She said after the project taps into grant funding and other sources, the city’s actual cost would be around $1.5 million. It’s something she wants the public to consider. “But Oct. 5 is coming and it’s really urgent and if we don’t come up with anything we will not be able to build Phase II,” she said. The city contributed more than $2 million toward the first phase. It’ll be up to the Assembly whether the city should double down on its investment in the “Housing First model” to help tackle Juneau’s homeless problem. Those discussions are expected to begin in August.